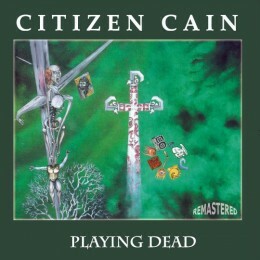 Citizen Cain’s fourth album introduced new guitarist Phil Allen to the audience and with the addition of his unique playing style the band continued their musical exploration to find their own sound. The musical partnership of vocalist/ bassist Cyrus and keys/ drums player Stewart Bell continued and although Playing Dead marked a return to a more mellow and melodic approach in the writing it still retained the complexity and technical musicianship of their previous album. Released in 2002, on the band’s own label Pig In A Poke Records in collaboration with the studio where it was recorded, the album lacked the promotion and publicity required. Having recently been remastered and reissued by F2Music it will now hopefully get the recognition it deserves.